Evergreen perennial. Compact green fern-like foliage mounds topped with short upright flower heads. 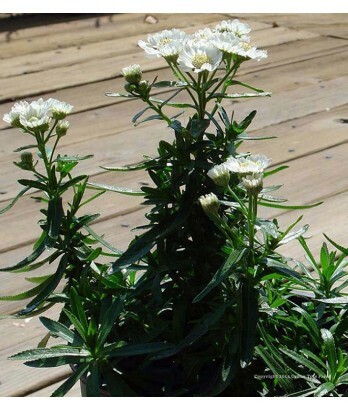 Flowers are white have a small daisy-like form with a large center eye late spring through summer. Deer resistant. Light to moderate water needs once established. Adaptable to various soil conditions. Hardy to 0°F or below.